The digital age has created a false sense of security. The data on the computers, tablets and hard drives may seem immortal. It is believed so because unlike paper, it is not exposed to wear and tear or dust or go yellow with pages. But all these facts are believed to be true until one day when your hard disk crashes and everything disappears in one moment. Hard drive failure can happen at any time than you might think. Thus, it becomes necessary to have a backup of your data. Yet many people don’t follow it which provides more customers for hard drive recovery company. Mechanical failure is said to be the most common reason for sudden, disastrous hard drive failure. The problem occurs because of age or a defect in the drive rather than any external factor. Accidental damage is less common, but when it happens it is considered as a minor data loss. Such human assisted destruction comes under the category of “user error”. An average person has no idea about how to repair a hard drive and handle data recovery from crashed hard drive. It is not easy to recover data from hard disk and the cost to recover hard drive data is also expensive. Only a professional and expert data recovery company can help in data retrieval from hard drive. 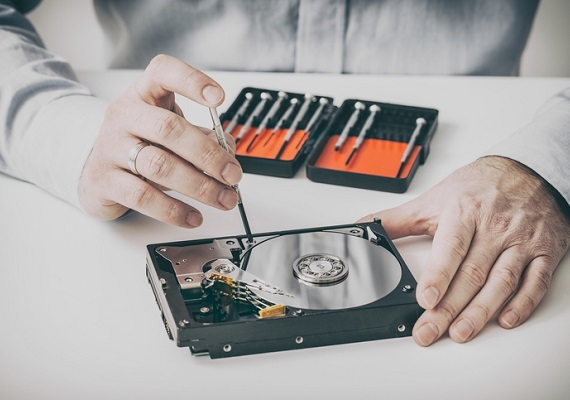 Data Retrieval Ltd is one of the best data retrieval companies in London, offering data restoration services for businesses, organizations and home users who are experiencing a hard drive failure. The company specializes in data recovery from broken hard drive. The data recovery charges of the company are highly competitive irrespective of the type of recovery required. The data recovery lab of the company is well equipped with all the latest UK data recovery tools and the technicians for safe and secure hard disc recovery. The other services offered by the company are laptop data recovery services specially dell hard drive recovery. Many failures are mechanical in nature, and that data retrieval from hard drive is impossible until the drive has been physically repaired. Once the damaged parts are obtained, the repair begins. Read or write heads and other components that have stopped operating are replaced inside a “clean lab” which keeps dust and other foreign objects out of the open drive. Sometimes there can also be electronic failure of hard drive. The user can experience issues like faulty soldering or damage from a power surge that fries chips or melts contacts. Such problems are fixed using a stereoscopic microscope and specialized soldering equipment. It is also a delicate and time-consuming process which is more challenging by the small size of modern hardware. Mechanical drive problems are straightforward, but flash memory problem is a challenge. An operational flash drive uses a controller chip to store the data, and if that chip stops working, or is corrupted, sorting through files becomes a long, difficult process of browsing data in search of something that looks familiar. Only an expert can recover the data as they know well about the key data structures such as file tables and the look in hex form. After the structures are found, the data can be restored, making it possible for most data hard drive recovery. Solid state drives are also more difficult to work with because SSD contains up to 16 chips and each chip has a separate dump across which the data can be split and stored. Data recovery experts need to analyze data from each dump and join it together like a jigsaw puzzle. The situation becomes worse if the SSD contains automatic drive encryption features. Data recovery experts first focus on repairing the controller chip, as it is the only way to decode what’s on the drive. Once recovery is complete, the data is uploaded to a local server, which is not connected to the Internet for security reasons. Data are given back to the customers on a physical drive due to security reasons. If you are looking for hard drive recovery near you, contact Data Retrieval Ltd. The experts can definitely help you.